The Boston Bruins rebuilt faster than expected and the result was a 50-win season in 2017-18, the 10th in franchise history. After defeating the Toronto Maple Leafs in seven games in the first round — the Bruins' first playoff series win since 2014 — they fell to the Tampa Bay Lightning in five games in the second round. 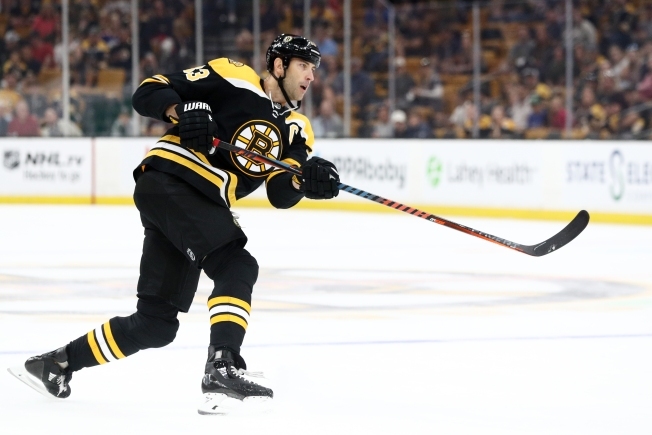 As if the competition wasn't enough of a challenge in Boston's attempt to have a better start, they'll have a greater challenge because defenseman Torey Krug will not be in the lineup. Krug had a left ankle injury in the Bruins' preseason finale against the Philadelphia Flyers on Saturday. Krug is in a walking boot and will be evaluated in three weeks. With Matt Grzelcyk, the replacement for an injured Krug both at 5-on-5 and on the power play, trying to return from a lower-body injury, the Bruins' depth is being tested early. Like Jacobs, Bruins president Cam Neely desires a better start to the season. However, Neely's more interested in how the Bruins finish.